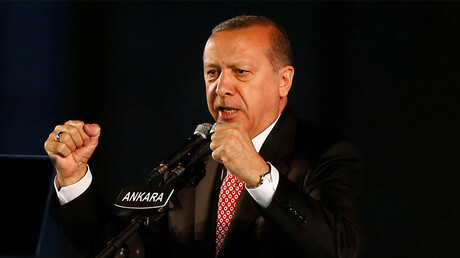 Turkey's president Recep Erdogan has once again lashed out against Germany, this time branding three of its political parties "enemies of Turkey" and urging his "countrymen" not to vote for them. German Chancellor Angela Merkel's CDU party was included on the list. "I am calling on all my countrymen in Germany... the Christian Democrats (CDU), SDP, the Green Party are all enemies of Turkey. Support those political parties who are not enemies of Turkey," Erdogan said following Friday prayers in Istanbul, as quoted by Reuters. Erdogan's comments, some of the harshest yet against Merkel and her Christian Democrats, come ahead of the September 24 election which will determine if the chancellor wins a fourth term in office. German foreign minister Sigmar Gabriel lashed out at Erdogan's Friday statements, describing it as "an unprecedented act of interference in the sovereignty of our country." "Erdogan's interference in Germany's electoral campaign shows that he wants to incite people in Germany against each other," he told the RedaktionsNetzwerk media group, as quoted by AFP. Erdogan's remarks are the latest in an ongoing spat between Ankara and Berlin, which spilled over after the botched military coup which took place in Turkey in 2016. Following the attempted coup, Turkey accused Germany of harboring alleged supporters of US-based cleric Fethullah Gulen, who Turkish authorities claim was the mastermind behind attempts to overthrow the government. Gulen, has however, denied the accusations. Turkey was also angered when Germany provided asylum to Turkish officers allegedly linked to the attempted coup. Erdogan was infuriated by Berlin once again in the run-up to Turkey's April referendum, after German authorities barred Turkish politicians form addressing rallies of Turkish citizens living in Germany. Earlier this month, Reuters reported that Germany wanted the European Commission to suspend negotiations to update the EU-Turkey Customs Union, claiming that continuing the process would send the "wrong signal." A draft paper seen by the news agency also said that Turkey's pre-EU accession assistance (IPA) should be targeted "even more towards supporting democracy and the rule of law," given recent developments in the country. That report came not long after Turkey arrested German human rights activist Peter Steudtner, charging him with "supporting a terrorist organization," despite Berlin saying he had merely traveled to Turkey to speak at a local human rights workshop. The arrest prompted Gabriel to issue a travel warning for citizens, saying that “German citizens in Turkey are no longer safe from arbitrary arrest." 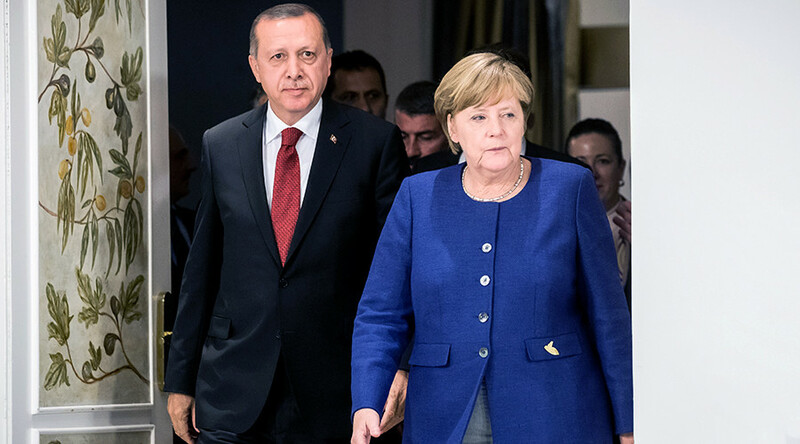 In July, Germany announced that it was losing patience with Turkey, urging Ankara to release Germans detained on terrorism charges and to "return to European values," or face shrinking investment, restrictions on tourism, and curbs to EU financial aid. Days later, Erdogan announced that Ankara would no longer cave in to pressure from the West. “The West wants Turkey to bring about their demands no questions asked... I am sorry to say that Turkey no longer exists,” Erdogan said at the time. That same month, Ankara again ruffled Berlin's feathers when it withdrew permission granted to German lawmakers to visit troops stationed at a NATO base in Konya, in Turkey's southwest. Ankara cited the poor state of German-Turkish relations as the cause. However, that wasn't the first time Turkey had denied access to German lawmakers. It previously blocked MPs from visiting Turkey's Incirlik Airbase, which was once home to some 300 Bundeswehr soldiers and several reconnaissance jets. Berlin ultimately authorized its troops' withdrawal in June, relocating its troops and equipment to Jordan.